Tee It Up for HEALS - HEALS, Inc. 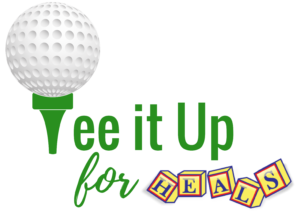 Experience a new type of golf tournament at the 2nd Annual Tee It Up for HEALS at Topgolf Huntsville on March 28th, 2019 from 12-4pm! This is not your traditional golf outing – there are no rain-outs at the all-season venue. Network and socialize with other players while enjoying complimentary food or meet a competitor at the Topgolf bar and challenge who has a better golfing handicap! You can also enjoy a little healthy bidding competition over the Silent Auction items! The tournament has a structured and concise timeline with leader-boards and scorecards. You have time to warm-up before the game, and play through even when it is not your turn! Each team is comprised of six members to play in an appointed bay with freedom to move about the Topgolf facility when not in play. Each game = 20 shots, rotating between each player on your team. Each shot is given points and the score counted up. A Topgolf Pro will visit each team for the possibility to purchase Mulligan shots or you can compete for a Hole-In-One for $10,000!!! All attendees can participate in the Hole-In-One competition for a small donation. Winners will receive awards at the Award Ceremony immediately following the tournament. Chip In Donation – Always appreciated! Space is limited. Sponsorships & Teams will be offered on a first-come, first-served basis and will sell out. Payment must be made in full by March 11, 2019. Thank you to our Sponsors of Tee It Up for HEALS! !